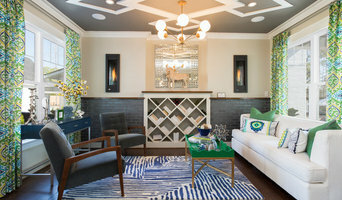 Best of Houzz Award Winner!! “I love a good story, have a quick wit, strive to choose joy, can’t imagine living in a world without laughter, am motivated by injustice and have a personal mission to create beautiful spaces that are well curated, livable and timeless.” Tracy deShazo Interiors is a nationally published boutique design studio. Tracy begins each client engagement with an in-depth design conversation that ensures form and function, which is the essence of each TDI project. Her clients, many of whom are busy professionals, appreciate Tracy’s keen ability to draw them out of their comfort zone. Tracy embraces her role as creative director on each project and her clients trust her intuition to maintain the integrity of their design journey. Tracy’s love of layering uncommon textiles, found objects, distinctive lighting, noteworthy art, comfortable furnishings and thoughtful space-planning results in interiors that are well-curated, livable and timeless. Always happy to help with any project, no matter how big or small, I strive to keep things fun and easy. In the end, this shows through as a well designed and personalized space for you to enjoy. Great listening skills are my key to capturing a client’s style. Through creative collaboration I figure out the best solution for each and every space whether it’s wall color, where to place the sofa or what to do with that oddly shaped window. 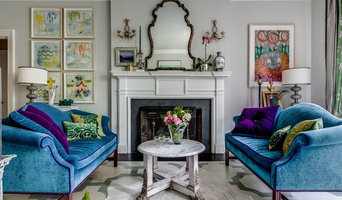 Erin Shafer has over 15 years of professional interior design experience and a degree in Furnishings and Interiors from the University of Georgia. Erin devotes great care to creating a plan for each client, which provides individual design solutions for that warm lived-in ambiance. Erin Shafer Interiors creates livable spaces that exude comfort and function as a result of collaboration between designer and client. Angela Elliott Interiors specializes in helping our clients create the perfectly comfortable space they are proud to share with their family and friends! We can help with bath or kitchen remodels or even whole house remodels and new construction. From helping you select finishes and colors to finding the perfect furniture, window treatments, art and accessories. and we are approachable and fun to work with too! When he was a child, his mother would frequently come home to find that he had rearranged the furniture. He’d spend countless hours drawing floor plans and elevations while most kids were playing. He first subscribed to Architectural Digest while in high school. Some things just come naturally. Today, Adam has 10 years of experience designing interiors for clients in Richmond, Charlottesville, and Williamsburg, as well as projects from Maine southward to Key West. Adam works with clients independently or jointly with the client’s builder or architect. Carefully considering each project to the finest detail, he strives to creatively and seamlessly blend his own vision with the client’s expectations. His process produces a custom-tailored home and a distinguished interior. Over the years, Adam has worked diligently to amass an eclectic library of design resources. 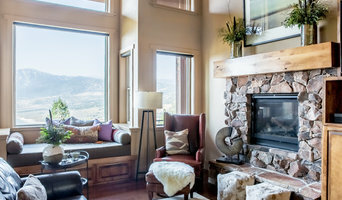 This nationwide network of vendors and suppliers allows him to provide his clients with the most unique and highest quality interior and exterior furnishings. We offer complete interior design/interior decorating services. We sell custom upholstery, window treatments, rugs and case goods from hundreds of vendors across the United States. Whether you are simply sprucing up a room, remodeling or building a new home - we can assist you. 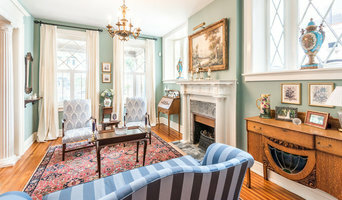 We are based in Richmond, Virginia but will travel anywhere you assist you with your project. Post & Beam Design Co.
Heather and her family live in Richmond, Virginia. She and her husband have six children; four of the homegrown variety and two through adoption. Over the course of the last several years, Heather has gone from being a stay-at-home-mom to pursuing her long-dormant creative gifts. In her ‘former life’, she was a counselor for the deaf and hard of hearing. After 13 years of pouring herself into the lives that fill her home, she was ready to look outward. Yet, with all six children still at home, she knew she couldn’t go back to a full-time office job in counseling. When presented with the opportunity to reinvent herself professionally and pursue her dreams creatively, she returned to her creative roots (and easel) and shortly thereafter began Post & Beam. Post & Beam is a fresh, progressive design company focused on beautifying the spaces we do life in while also giving back to the world we love. There are amazing companies, creating amazing product, resulting in jobs and sustainable income around the globe for those who need it most. So know that, by using Post & Beam to achieve the vintage, industrial, and original space you long for, your dollars are doing good. Help Post & Beam make a difference through your dream home design. Give us a call today at (804) 409-2061 or click the "Contact Me" button to schedule your design consultation. We look forward to working with you and making a difference in the world, one home at a time.